Home > Printable Coupons > Starbucks Coupon | K-Cups $5.49 at CVS Starting 11/3! Starbucks Coupon | K-Cups $5.49 at CVS Starting 11/3! 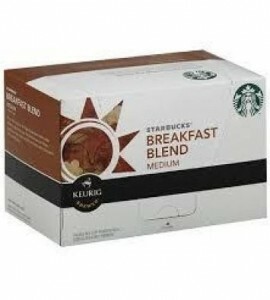 I start every morning with a k-cup, I love all the varieties out there and the easy cleanup! Grab this new Starbucks coupon for their k-cups. It makes for a good deal at CVS starting Sunday. Makes it $5.49 or 55¢ per k-cup! That’s a lot better price than a cup of coffee from a Starbucks store!